According to wikipedia, Achilles Tendinosis is "the soreness or stiffness of the tendon, generally due to overuse". We've got Thierry Henry for two more years, after this one, so we might as well learn that well. My colleague Matt Conroy (aka Who Shot Sam) covered the Henry Achilles affliction news of the past week, as well as the Brian Nielsen loan extension, in this post from a couple of days ago. The Star Player to RBNY Rumor of The Week: Juan Roman Riquelme. According to this article, the Red Bulls have inquired regarding his services. Riquelme is a genuine #10, unlike Dwayne DeRosario who's more of a withdrawn forward. That said, DeRo just got here and is capable of delivering many assists. I would put this one in the "Highly Unlikely" bin. 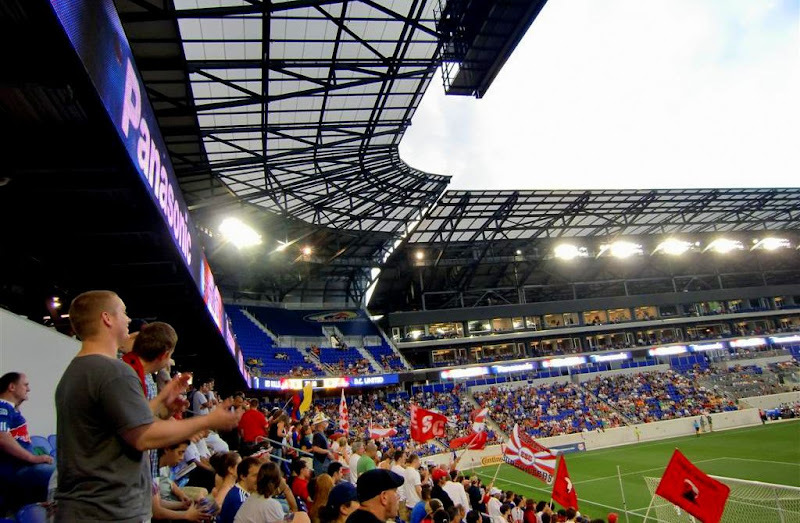 Earlier this year, when announcing a May 11th friendly against the Montreal Impact, Red Bulls GM Eric Soler alluded to the team possibly playing a tournament in Europe this coming summer. Apparently, the Red Bulls have been invited to participate in Arsenal's annual Emirates Cup. No word form the Red Bulls as to whether the invitation has been accepted. Red Bulls forward Juan Agudelo is, reportedly, on Atletico Madrid's radar. That didn't take long, did it? Hopefully, Agudelo will stick around a few seasons, for his benefit and ours. The Red Bulls have formally announced the signings of left back Teddy Schneider and goalkeeper coach Todd Hoffard. The Wall Street Journal has this excellent profile of RBNY coach Hans Backe. "I saw Danny Mwanga standing there and tried to play it over him but completely mis-hit a ball that I have played a thousand times in my life". Well, that mystery is finally solved. Good man Timmy!